As I write this, we are putting together AEPi’s plans for our annual reception at the AIPAC Policy Conference. For those of you in town for AIPAC (or, just, in town), I hope you will join us. More information is available here. In this issue of The Lion, we are highlighting and celebrating Brother Past Supreme Master Elan Carr’s Presidential appointment as special envoy to combat anti-Semitism. 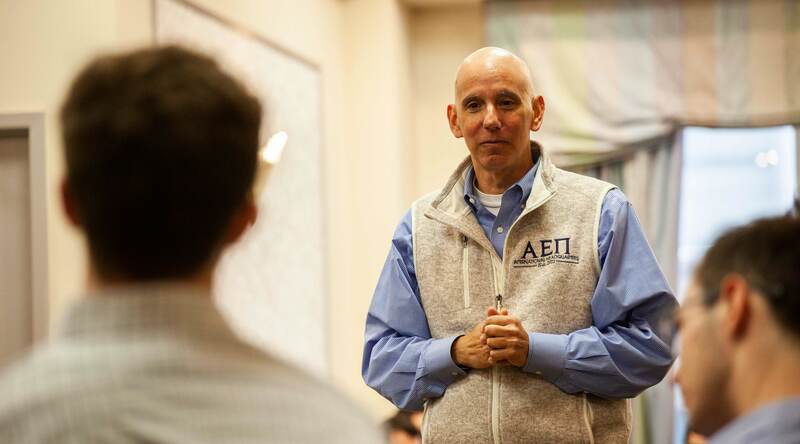 We are all, understandably and justifiably, proud of Brother Carr’s work in this regard and the recognition he has brought to AEPi. Elan credits AEPi with giving him this passion and starting him on this career of advocacy. But, I am just as proud of the fight our undergraduate Brothers are engaged in on campuses across the world to stop anti-Semitism, BDS and the delegitimization of Israel. Our Brothers are at the forefront of this fight – not just in Washington – but at places like Towson University, Appalachian State University and many others. Amazingly, a recent (2018) study found that 31 percent of Americans, and 41 percent of millennials, believe that two million or fewer Jews were killed in the Holocaust; the actual number is around six million. Forty-one percent of Americans, and 66 percent of millennials, cannot say what Auschwitz was. And 52 percent of Americans wrongly think Hitler came to power through force. Next month, literally hundreds of our Brothers will participate in our annual We Walk to Remember campaign as AEPi works to raise awareness of the holocaust on our college campuses. And, as you can also read in this issue, Brother Mike Freeling has helped spearhead a closer relationship between our fraternity and the ADL. The Brothers of AEPi – both alumni and undergraduate — are doing our part to combat ignorance and anti-Semitism. There is much to do but there is cause for hope.